The video starts off after the end of World War 2 when scientists discover a new wave in the secret of the atom; the continued study led to the discoveries of the secret of life. At first, the documentary explains the 100-hour exposure in the London lab scientists were able to create the DNA using X-ray cameras. This was the start of discovering a detail of the blueprint of life as it is passed down from generation to generation. 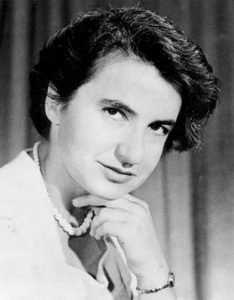 The documentary starts off by listing, Francis Crick an American and James Watson as notable DNA detectives, while at the royal society as a 31-year-old British woman and scientist named Rosalind Franklin who was responsible for the X-ray photo, photo 51. In 1962, James Watson was awarded a Nobel price together with Francis Crick and Maurice Wilkins for their extensive work with the DNA, a few years later James Watson published his personal account of his discovery, as a book, the Double Helix. A slim and best-selling book and depicts the discovery of the structure of the DNA and introduces a scientist by the name Rosalind Franklin, a female scientist who had made immense contributions to the discovery of the structure of DNA. Moreover, Rosalind was born on July 25, 1920, and grew up in London in a Jew family during the pre-war period. As she grew up, she emerged as clever and outspoken, and was then taken to St. Paul girls by her parents where she studied chemistry and physics, becoming the best in sciences and mathematics. Later she graduated from Newnham College at Cambridge in 1938 and then got a job at the British coal utilization research association; during her time here she made an exemplary contribution to the uses of coal and graphite. Her works were used to make safer gas masks for the British soldiers later in 1945 she earned a Ph.D. in physical chemistry awarded by Cambridge University. Later in 1947 she moved to Paris working on Laboratoire Central with Jacques Merlin where they worked on perfecting X-ray chromatography, after a period of time she decided to move back to London to advance her scientific career. On arrival, there was a leftover bomb crater this led her to use an antiquated equipment in the basement of the building. As time went by, she took charge of her customary hard work and directed Raymond Gosling in making refinements to the X-ray equipment. During her working hours, she even preferred not to go to lunch as the college cafeteria did not admit women, moreover, while she and Gosling had made progress in studying the DNA Maurice Wilkins a senior scientist returned from vacation. However, he was upset that she was working on her right instead of being his assistant. 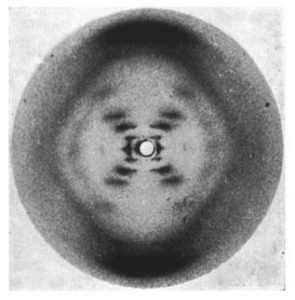 Despite this, she continued her research she was able to refine x-ray images using DNA fibers and arranging as per her chromatography although she began regretting leaving palace, at the time Wilkins began working on the structure of the DNA molecule with Francis Crick and James Watson. At the time, Franklin and Gosling made a discovery, that there were two forms of X-rays, a dry form “A” and a wet form “B”. Each ray had to be exposed for 100 hours to form an image, the dry “A” structure seemed to produce a more detailed image; she then set aside “B” form for later studies. She then noted the B formed images with a helical structure, and there were two clear strands which were visible in the image, she then labeled photo 51 before she filed it.